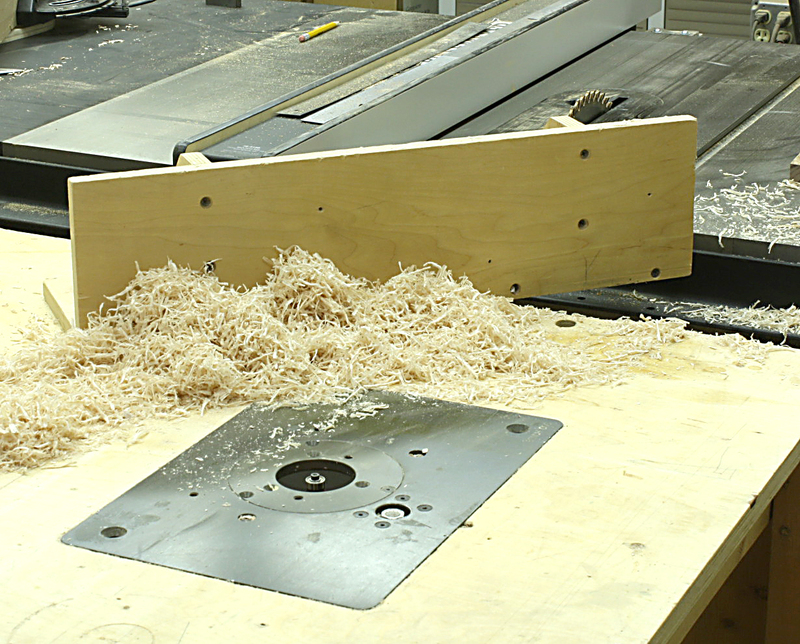 I have only a handful of jigs in my shop and not one of which has a sliding T-track attached to it. I find “tricked out” jigs a waste of time and more often than not they are useless. 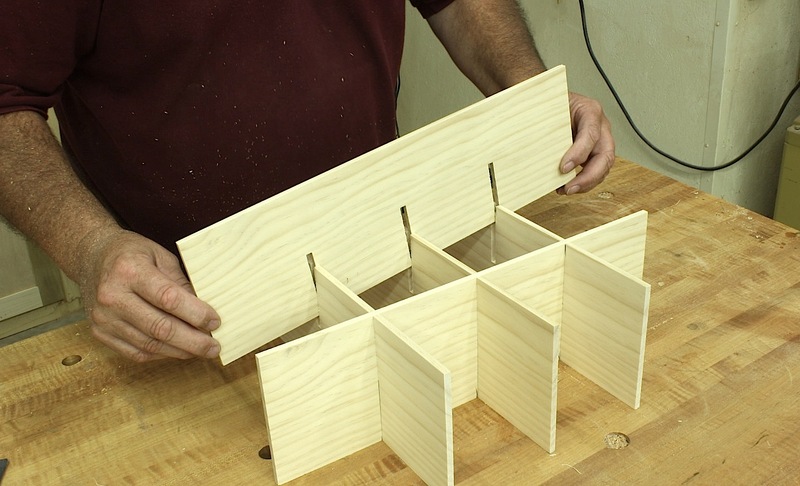 The best jigs are those that are simple to make and easy to use. 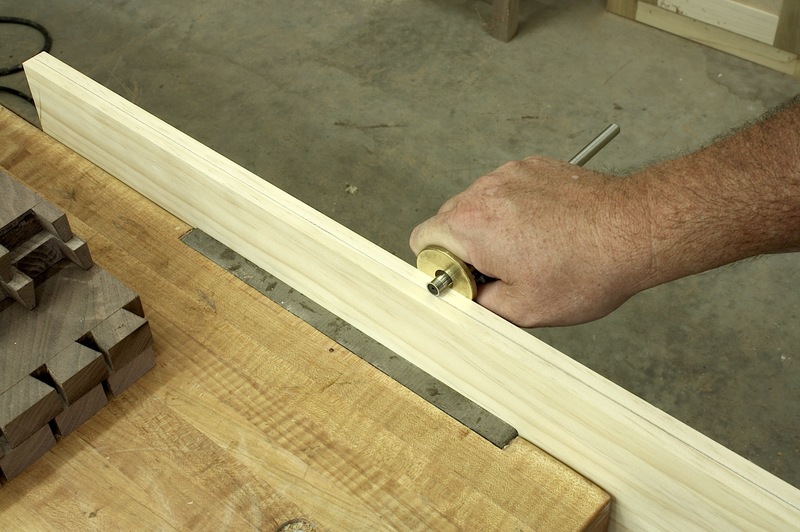 There is one other jig that I have to call my favorite – it’s a right-angle assembly that has many duties. 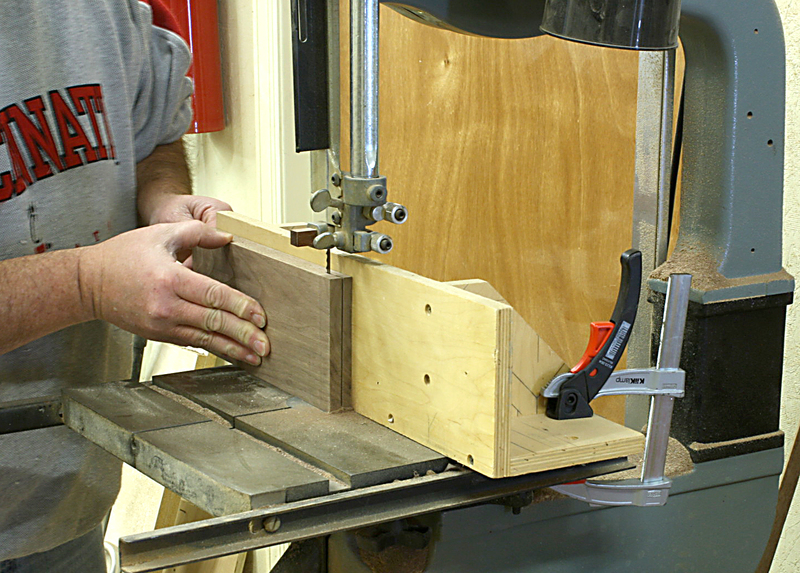 In the opening photo, I’m using the jig to hold a case side as I transfer my dovetail pin layout. As used here, you get a handle on how it’s made and about size. 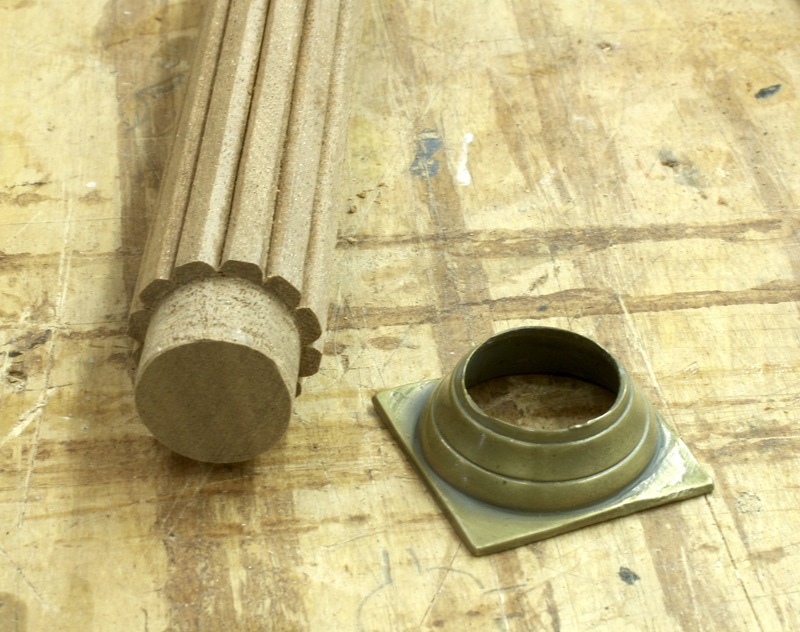 Face pieces are 5 1/2″ wide and the overall length is 20″. 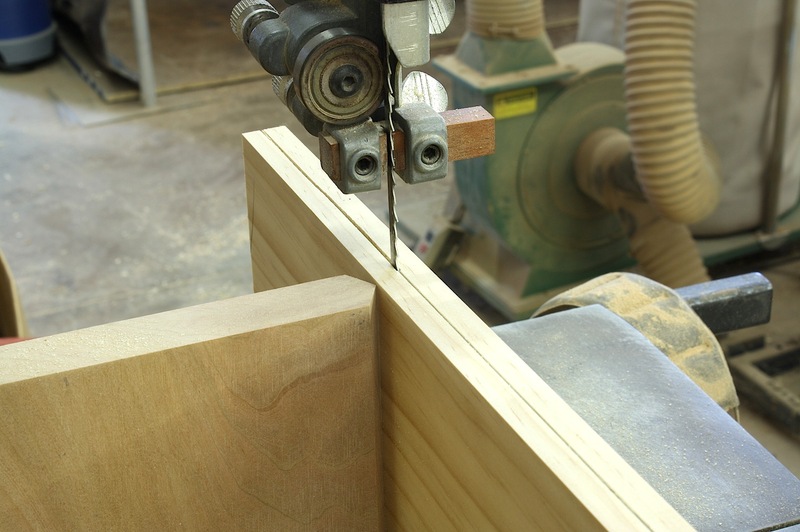 There is enough width to keep panels balanced, and the length allows you to easily grab piece using spring clamps. 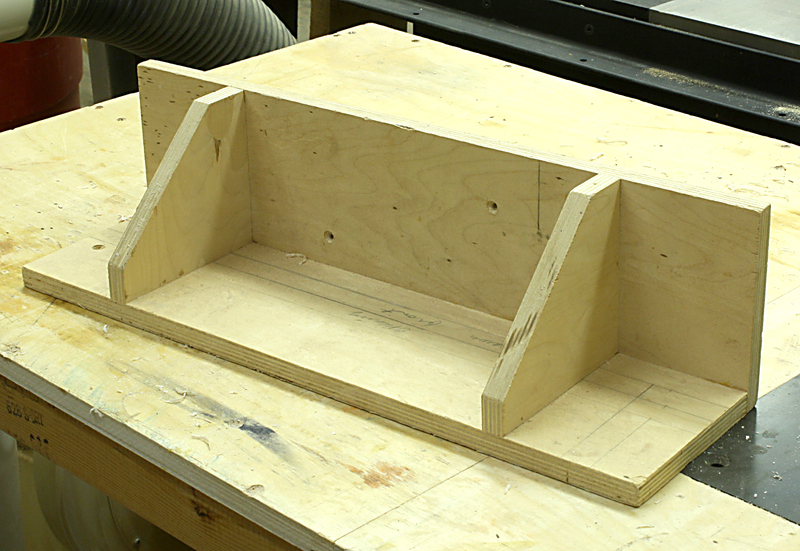 To hold the two pieces at a right angle I installed a couple simple braces with two screws piercing each face. 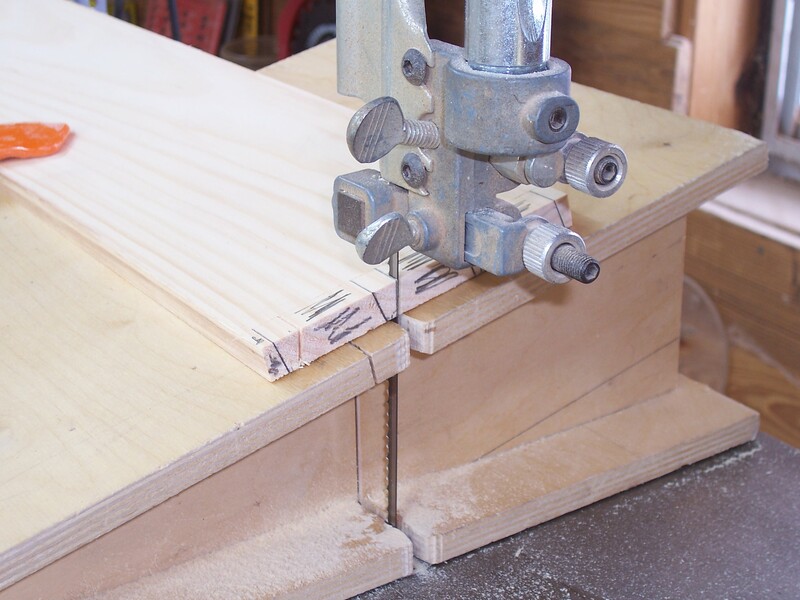 When using the jig to hold panels, those braces are perfect to store your clamps to keep them from getting too far away. 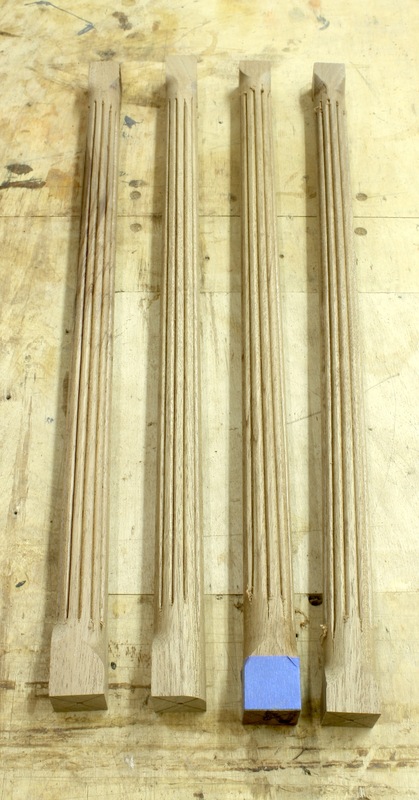 Panel work, however, was not why this jig was originally built. I have always been frustrated with fences provided with most band saws. 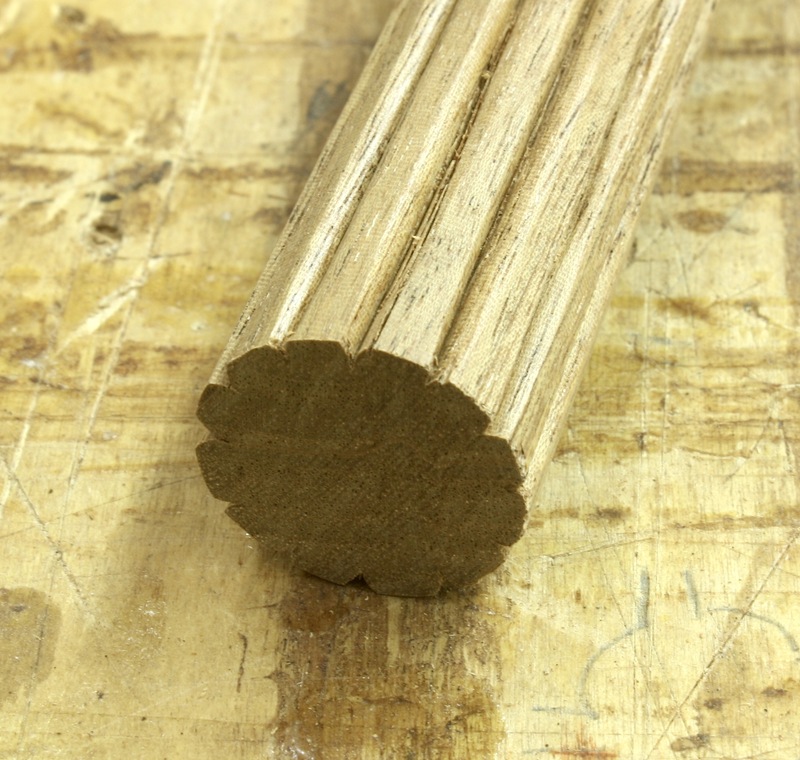 I find the drift of my band saw blade before I attempt to rip or re-saw lumber. 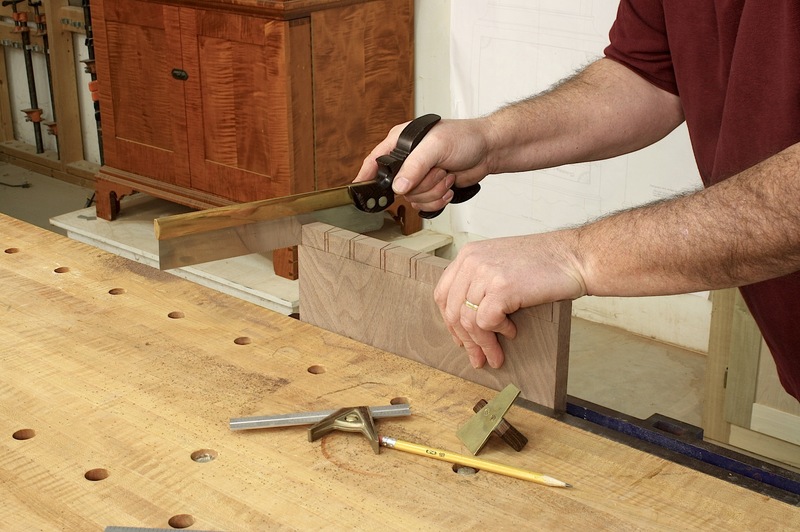 I can count on one hand the number of times that my drift was exactly 90 degrees to the band saw table and most fences do not have the ability to lock at small angles. 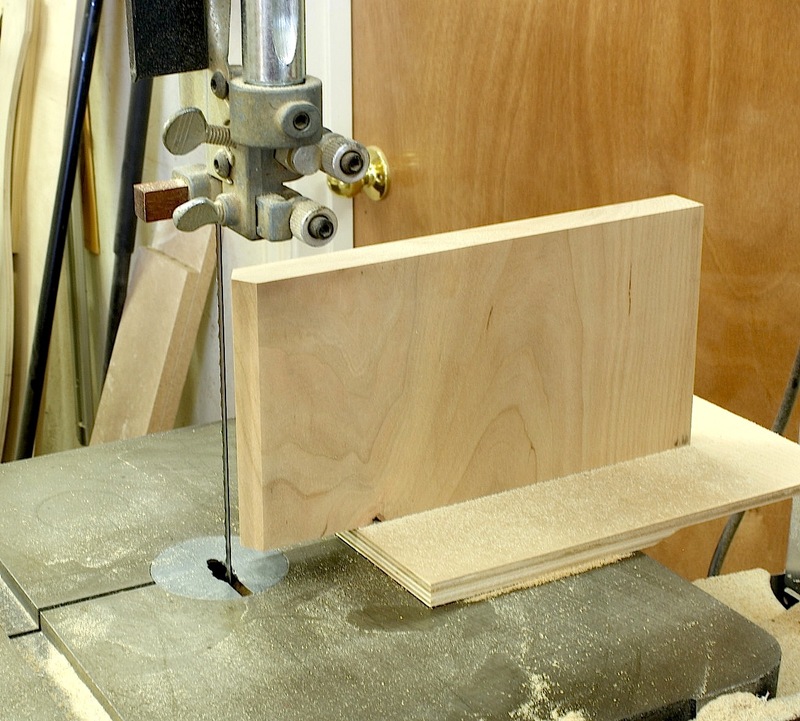 To correct that problem, I use this jig along with a couple clamps to lock my fence at the needed angle to get the job done. 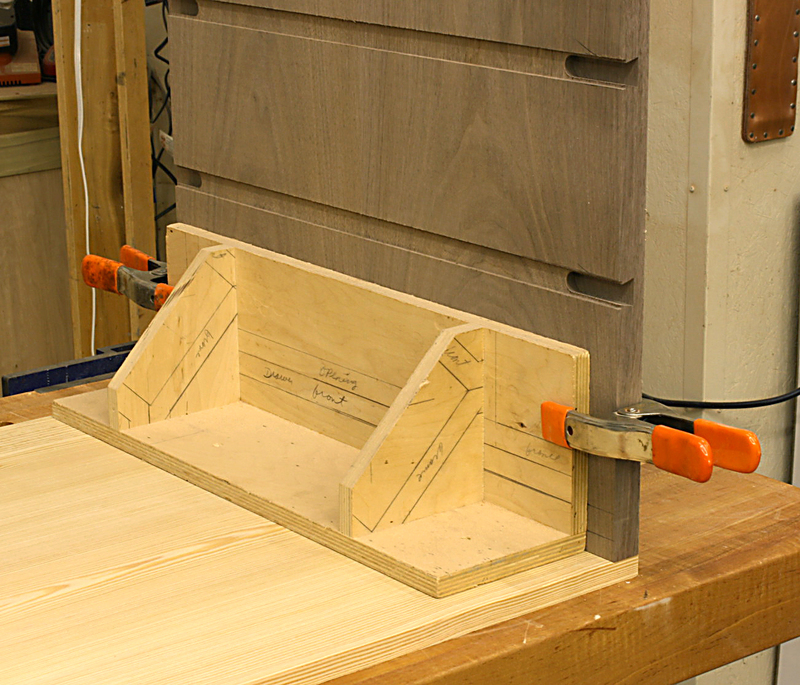 This week I discovered another use for my right-angle jig. 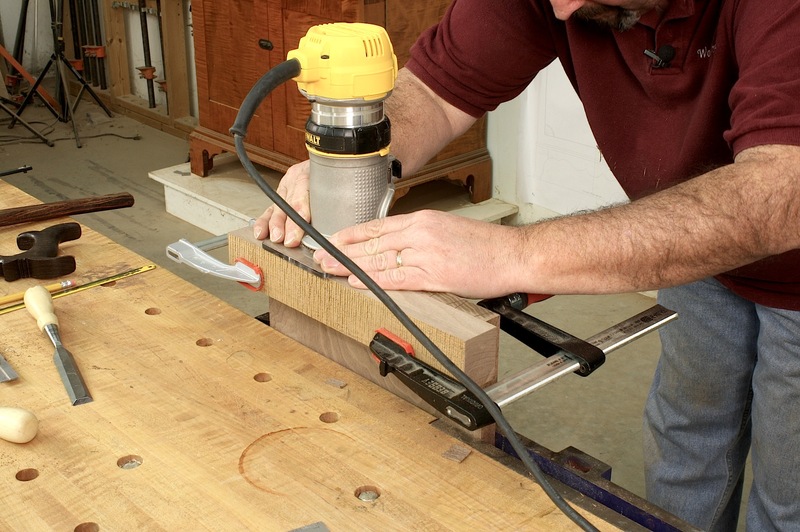 As I worked at my router I had mounds of router shavings being cast over my table saw – my router, at the present time, is mounted in my out-feed table. (That’s turning out to be less than ideal.) 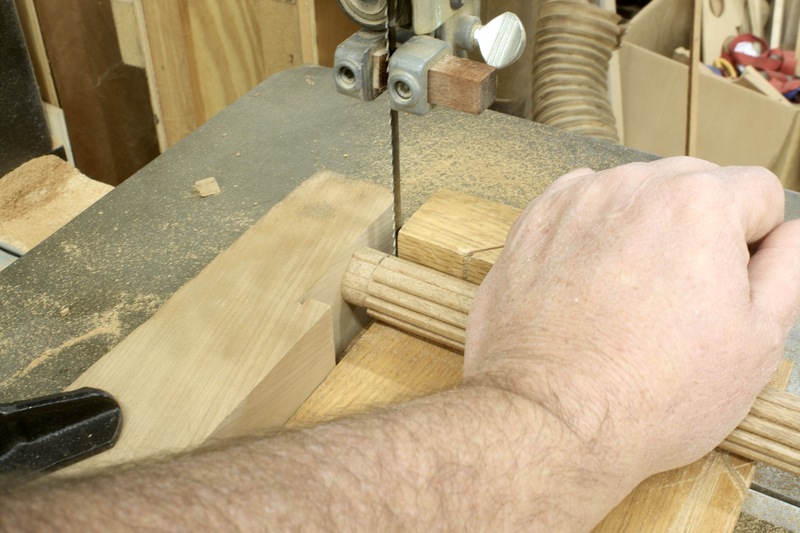 To stop the spread of feather-like shavings, I sat this jig just behind the router bit to acts as a backstop. 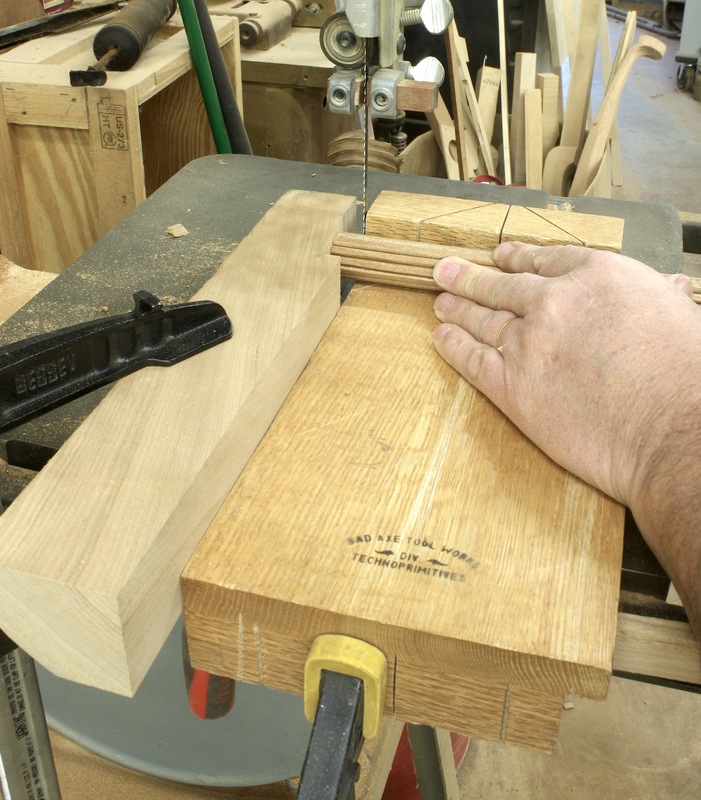 A good jig has many uses. And it doesn’t take a Harvard degree to understand how it’s used.